How do you go from casual snowboarder to US Team Member and competing in huge international competitions like The Arctic Challenge? Join me as I interview Pro Snowboarder Benji Farrow. 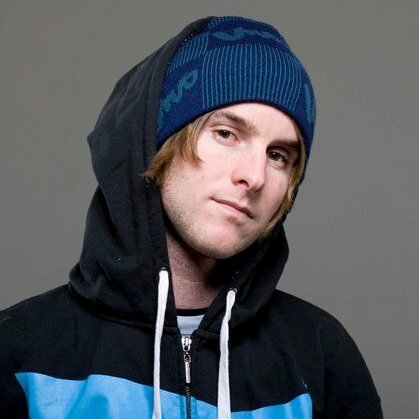 Benji Farrow is a pro snowboarder who is currently part of the US Rookie Team. He’s had an outstanding rookie season, peaking as high as 8th on the World TTR Rankings, as well as competing at big competitions such as The Arctic Challenge. His sponsors include: Zion Snowboards, Blessed Outerwear, GoPro, Green Wax, Anon Optics, Windells Camp, Red Protection, Me Glad Apparel, Cholula Hot Sauce & Pacsun USASA. How do you go from small town rider to filming parts in snowboard movies and holding sponsorships with companies like K2 and Spy Optics? Join us as we interview Pro Snowboarder Geoff Brown. 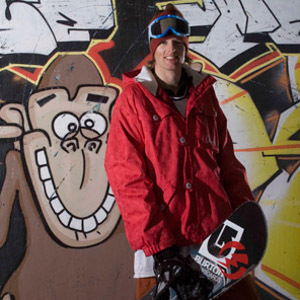 Geoff Brown is a pro snowboarder based in Whistler, BC. He’s had many video parts in popular Sandbox snowboard movies and his sponsors include K2, Spy Optics, Flux, Sandbox, Pow Gloves, Home Clothing & Burn Bandanas. We’re working on the transcript, it should be up in a week or two. How do you build a snow/skate clothing brand that has worldwide distribution and collaborates with big names like Red Bull? Join us as we interview Anthony Leffelaar, co-founder of Vivo Headwear. Anthony Leffelaar is a pro snowboarder, turned business owner. He’s been involved in snowboarding for over 12 years and you may have seen magazine photos of him launching over the famous Mt. Baker road gap. These days, he works as the CEO of Vivo Headwear, a snow/skate clothing brand that has seen insane growth with distribution in over 22 countries worldwide. Jedidiah: Hey everyone, I’m Jedidiah Tan, founder of Snomie.com, the home of snow travel. So just how do you start your own snow clothing brand? Well, joining me today is someone who’s done exactly that. Anthony Leffelaar is a former pro snowboarder turned business owner. He’s the co-founder of Vivo Headwear and the CEO as well. It’s based in Vancouver, isn’t it? Anthony: Yes, that’s correct. We’re based in Vancouver. Jedidiah: All right. So how’s it going? Anthony: Everything’s good, thanks. Here doing an interview with you in Vancouver, in our office. It’s Monday and we’re getting started with another busy week. Jedidiah: All right. So Vivo just signed a distribution deal with the U.S.A. What’s your worldwide distribution looking like? What other countries are you in? Anthony: Right now, we’re all over the world actually. We’re in approximately 22 countries. We started off in Canada. Obviously, that’s our backyard market. Then we expanded into the U.S.A., which is a really strong market for us, and we’re in Asia, all through Europe, and now we are expanding to countries like Russia, the Czech Republic, you name it. We’re expanding daily into different countries, which is great. So, yeah, from when we started two years ago just in Canada, we’ve been really aggressive with our distribution worldwide. Jedidiah: All right. Nice. So just how did you get the idea for Vivo? I know you started with beanies, I think, at first. Anthony: Yeah, Vivo originally was launched on beanies. Obviously being an ex-pro snowboarder, we just wear beanies every day or any snowboarder or skater. So Vivo Headwear was I guess born, so to speak, in January 2009, I believe. For the past 12 years, I was a pro snowboarder living in Whistler and traveling from New Zealand to Whistler. Being in involved in the business side of things a lot as a pro snowboarder, I always took note of companies and where they were making their products and the marketing side of things, and I was always interested in it. So Vivo came about from me being a pro snowboarder and taking what I love doing in snowboarding and then turning that into a business. I decided to launch Vivo Headwear in 2009, like I said. We launched as a beanie company, and now we’ve expanded the products from beanies into hats, and now we’re expanding into a full clothing range for 2012. So, yeah, hopefully that answers the question. Jedidiah: Yeah, that’s great. All right. So you were a sponsored pro, and now you’ve made the transition into business. Why? It’s a pretty big change in lifestyle difference from snowboarding. Anthony: Yeah. I love snowboarding, and that’s why I originally started the company. So making the transition, I really didn’t know what I was in for when I made the transition. All I knew was, “Hey, I’ve always wanted to run a company in the snow/skate industry and branch from there to wherever the brand would take me. But really I launched the brand just because I wanted to stay within the industry in something that I started doing. That’s pretty much why I made the transition. And, yeah, the lifestyle change has meant that instead of snowboarding full time seven days a week I am now snowboarding once every two weeks. So, yeah, I mean it’s basically just because I love snowboarding and here it is now, Vivo. Jedidiah: All right. So you got the idea for Vivo, and what were your first steps to actually make it a company and actually set this whole process going? Anthony: Well, when we first launched the company, obviously there’s a lot to getting a business started. It’s not easy, that’s for sure. We built a business plan. That was one of the first major steps to guiding us in the right direction. Surrounded ourselves with business mentors and other people that had started companies in the industry and even outside the industry. Yeah, those were the first initial steps and securing financing. With a business, you really need to have a plan in hand. I mean, everyone just jumps into it. It’s because they’re really passionate in doing it. But after we discovered we potentially had a product, then we quickly had to start building business plans and talking to people, and wanted to make a lifestyle of it rather than it just be a hobby. So yeah, those were the first initial steps, and then we approached snowboarders and skaters that would like to get involved in the vision that we had. I then approached Corey Sheppard, who’s now one of the founders of the company with me, in the early stages. Corey Sheppard, he’s a big pro skater in Canada, and he’s now our Creative Director and takes care of all the skate side of things, well more than that, the design stuff. So once I teamed up with Corey, after a few months, we started putting some marketing out there and whatnot. So those were the first steps of what happened. Jedidiah: All right. Nice. So you mentioned getting financing for that. Did you finance most of it yourself? How did you go about that? Anthony: Yeah. From what I can remember, we in the beginning, obviously, put my savings into starting the company, because I believe if you’re going to be successful, you need to put your own money into a startup venture before you then take your business to outside investors or sink some serious financial cash flow into it. So, yeah, at the start, I put in our savings. We started off just with a couple of thousand dollars, made a few hats. Then from there, we while we were building our business plans, we went back to banks and investors and all that type of stuff. So everything today is being financed from the riders that started the company, and that’s what keeps us working really hard is to make sure that we sell hats. Otherwise, we’re not going to be able to eat. Jedidiah: All right. So it was really bootstrapped, the company, basically is what you’re saying. Like what entrepreneurs call it, like no outside funding, pretty much just yourself? Anthony: Yeah. I mean in saying that, we had some outside financing, some sources, so to speak. In the past 12 months, we’ve really had to step up that side of things because the brand’s making some really great traction at the moment in different markets. But starting out, we were putting our own money into it. We still are. I mean, our money or our investors’ money, it’s still the company’s money. But in the very start, you’ve got to put your own money into it to prove a point. Jedidiah: All right. So you’ve got the idea for the beanie. How do you go from idea to getting the beanie made and in your hand? Anthony: Basically flying to meet our manufacturers offshore in Asia. We went from sampling a few hats, in our first couple of months, to taking the business to the next step. I said to myself, “If we’re going to be serious about this, then we need to go meet our factories, meet our suppliers, and do all that.” So that’s where it first started from making a beanie to actually seeing how the beanie was made or a tuque, so to speak. There’s a process in making any product. The idea needs to be created, and then you need to draw it up on Illustrator or Photoshop, and then you need to submit that and you need to get approvals. A lot goes into every single piece of product, especially with Vivo, because we’re very attention to detail with everything that we do rather than a lot of other companies that are producing more generic products. We’re quality, attention to detail focused. So, I don’t know if that’s going off topic, but that’s pretty much the process. Jedidiah: Yeah, all right. So you have a pretty solid riding team now. I saw that you started with a pretty small team, but nowadays you have big names like Mark Appleyard, I mean that guy’s a legend in the skateboard. How do you go from that small rider team of pretty much your friends and close associates to big guys like him? Anthony: Basically, we’re a rider driven, rider owned company, myself and Corey. Corey is obviously one of the biggest Canadian pro skaters to come out of the woodworks, and a lot of skaters have a lot of respect for him. Same on the snowboard side of things. I came from the professional snowboard side, and a lot of the guys who ride for us are our friends, but at the end of the day it’s business. So we approached our team riders with our concept and showed them what we’re doing and how much traction we made from the start, and they loved what they saw. The most important thing to securing our riders was just showing them, actually, our products and what we’re about and trying to keep the team involved with everything. So everyone was really stoked. Securing riders like that, it’s because of who we are and where we come from and the products that we make. The focus that we have as a brand is quality, and people like that and so do our riders. A lot goes into it with rider contracts and everything like that, but at the end of the day, they’re stoked on what we’re doing and we’re stoked on them. Jedidiah: Basically, what you’re saying is you need to get involved with the industry that you’re going to be working in, basically. Anthony: Yeah, pretty much. I mean, the number one rule in business that I’ve learned is that you need like a good five years in your industry, or at least know the industry really well for a few years before you launch a product in that industry. At least be involved in it or be involved in the skate industry some way. If that’s you read magazines every day and know all the pro skaters or whatever it is, you’ve got to know about the market that you’re getting into. It’s like me trying to go sell cars. I don’t really know how to sell a car. So at the end of the day, you’ve just got to know the market that you’re with. Jedidiah: All right. So basically, you’ve got your product now in your hand. You said you spent some money. You got some products in hand. How do you go from having these products to setting up and getting it into the shops and then distributing it worldwide? Anthony: Well, usually we take a production trip and see our products before we ship them out to all our suppliers to ensure quality control. Then we have our production managers on the ground. Basically, you produce a product. You work with your logistics team for shipping to different countries. I mean, we have distributors in different countries. Jedidiah: I’m just going to step in here. Say I had the product, because I’m just curious, how would I first start going to a shop and saying, “Look, I’d like you to carry my product”? Anthony: I guess there are lots of different ways you can do it. The first stage is, obviously, creating a catalog of your product, talking to the buyers of a store. Or having, for example, in different countries we have distributors where they have sales managers and they have a huge network of stores and have personal relationships with the retailers and the buyers, so they know them as friends. Usually your distributors are carrying a bunch of other brands, so it’s an easier approach for you to be launching a new brand into a store and them to have some faith behind the brand. But at the end of the day, the best way to do it is network and find those people that are the buyers and go and visit them and introduce yourself. Just be yourself and show them the product, and if they like what you’re doing, then they’ll give you a chance. Jedidiah: All right. So now I’m going to go into marketing. I know I’ve seen a lot of collaborations and music nights that Vivo’s done in Vancouver. Tell me a bit about that. Anthony: The music side of things, obviously, because we’re a skate/snow brand, music is a huge part of what we do. I mean, we’re a lifestyle brand, like I was saying earlier. We do a lot of different events around Vancouver and different parts of the world. We work with Matt Brevner, who’s a Vancouver local artist who is, obviously, making some fast moves on the international scene in terms of what he’s doing. We work with him and KAi Skywalker, who are artists. We do a lot of nights promoting the brand or just promoting them. Collaboration wise, we tend to just work with the people we’re stoked on. We work with Push.ca. We do a video viral campaign once a month with our pro riders featuring like Kevin Griffen or Andrew Geeves or whoever. The next one coming out, I think, is going to be Mark Appleyard. We have a huge network of people that we work with in marketing. We’ve done collaborations with Red Bull. Most of the athletes in North America are rocking around a Vivo/Red Bull collab, which is awesome. Then we did a collab with YES Snowboards, which is a really cool brand, and Airhole. Yeah, just all the companies that we’re stoked on. We usually bump into people along the way at trade shows and we just network. They see what we’re up to, and then sometimes a collab comes from them. If we like it, then we launch it. But that’s to kind of answer your collab questions. Jedidiah: All right. So basically what you’re saying is for things like Red Bull when you guys did the collab with them, you made the connections through things like going to the SIA trade show and that sort of thing? Anthony: Yeah, I guess with a company that’s really high profile like them, it was through people we knew in the market and they knew that we were making some good products. So I was introduced to the right people at the time, and in a couple of meetings showed them our quality products. Then at the end of the day, we launched a brand on quality and we stuck by it. People were starting to see that we were doing that, and companies like Red Bull like quality products because they’re a huge brand. But yeah, if you’re someone starting a new brand, going to those trade shows is a great way to network and meet people. I mean this industry’s all about networking. Everyone is generally super laid back and open to give you a chance. Roll around a trade show and just go talk to some people. You’d be surprised what you can get out of that. Jedidiah: All right. Is there anything else that you do in particular to market your brand? Anthony: Yeah. I mean, there’s a lot of stuff, obviously, that we do. I mean, first off, we make sure we have an exclusive team. That was one of the first things we wanted to do from the start. Rather than having too many riders on a brand, we decided, okay, let’s put together one of the world’s most exclusive teams and really look after our riders. We’d like to look after every single rider we could, but that was our focus. I mean that’s been a huge part of our marketing because our riders are our marketing. We work with Transworld, Skink, Snow Business snowboard business. Those guys have been a huge support to us as a new brand. I mean the amount of press that they give us is awesome. We do events, lots of viral marketing. I mean, everything that’s going social networking that way. So we do a lot of grass roots ground marketing, and we are merging into some bigger marketing campaigns in the next 12 months of online and print. We work with Snowboard Magazine in the U.S. We did some print adverts there. I mean, every country that we distribute in, they’re doing marketing through our distribution. So we’ve set up marketing campaigns from country to country, and we support our distributors and what they think is going to work well in their country and we work as a team. I mean, marketing is endless what you can do. Actually the most fun part of running the business is the marketing. So eventually, one day I can just focus on marketing the brand when we’re at that stage, but at the moment I have to do everything with Corey. Yeah, our marketing’s great. I’m really stoked on what we’re doing and where we’re going with it. It’s really exciting what we have planned in the next 12 months. Jedidiah: All right. That sounds great. So is there one key point that you’d like to get across to anyone else who wishes to start their own snow clothing brand? Anthony: I guess, obviously, research the market. If you believe in what you’re doing, don’t let anyone else tell you that it’s a bad idea or whatever. Definitely surround yourself with people that are wiser than you. Get some advice from people that run businesses. People that run businesses they like to help out the people that are starting out because they know how tough it was when they started a business. When you start a business, there’s always going to be some humps in the road, but as long as you believe in what you’re doing, you’ll make it through there. Yeah, that’s pretty much it. Just don’t let anyone tell you different. Jedidiah: All right. I completely agree there. Just before I let you go, where can people find out about Vivo Headwear if they’d be interested in having a look at your stuff? Anthony: The best place it just to come to our website on VivoHeadwear.com. You can find out in your country where we sell our products and that can lead you to the right stores, or you can just simply shoot us an email at [email protected] and we can answer your questions. Jedidiah: All right, great. Thanks for joining me. How do you build a snowboard coaching company that sells over 17,000 training videos per year? Join us as we interview Nev Lapwood, founder of Snowboard Addiction. 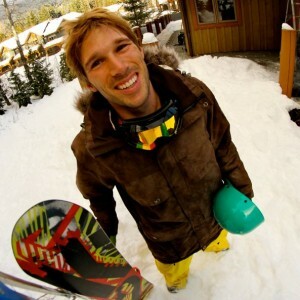 Nev is a pro snowboarder turned business owner and lead coach for his company, Snowboard Addiction. He is a CASI Level 3 coach, a CSF Coach and a CASI Course Evaluator. He has extensive coaching experience including coaching for camps such as Camp of Champions, as well as experience coaching as a staff trainer for the Whistler Blackcomb Snowboard School. Jedidiah: Hey, everyone. I’m Jedidiah Tan, founder of Snomie.com, the home of snow travel, help tips, and advice. So how do you build a successful company around a love for snow? Well, joining me today is someone who’s done just that. Nev Lapwood is the founder of a snowboarding coach company, SnowboardAddiction.com, and it aims to take your riding to the next level. How is it going Nev? Nev: Good, thanks Jedidiah. How are you? Jedidiah: Good, thanks. Thanks for joining me today. Jedidiah: So snowboard addiction has grown pretty big. You’ve got 11,000 Facebook fans. You’re selling DVDs, training videos. You do private coaching. You run camps in Japan, Canada, New Zealand, and you’ve got loyal customers all over the world. Tell me a bit about that and how things are going. Nev: Okay. Well, Snowboard Addiction, our mission – I’m just reading it off of our wall here – is Snowboard Addiction provides the world’s best video instruction, making it available to all shredders worldwide. So what we do is we make a series of snowboard videos, teaching people how to do things on a snowboard, and we provide it either by DVD or download to anyone anywhere in the world. We’ve been doing that for just over three years now, and our program now sells in eight different languages around the world. So we’ve really grown quite quickly. To give an example, during 2010, we sold 15,000 digital downloads of our DVDs and 2,500 physical DVDs. We have over 2,000 subscribers getting all of our material each time it’s released. So, yeah, growing fast and enjoying what we do. Jedidiah: All right. Nice. So business is going well then. Jedidiah: All right. So I’m going to talk about your history now. You started as an instructor and just moving to Whistler. You were working for Whistler Backcomb and a few snowboard camps. How and why did you get the idea for a snowboard coaching company? Nev: Yeah, when I moved to Whistler, I got a job as an instructor because I wanted to get a free season’s pass because season passes there are really expensive. From there, I sort of moved through different coaching organizations because coaching freestyle and stuff is pretty fun. It turned into a business really because you can help a lot more people with their snowboarding through DVDs and downloads than you can one-on-one. So that’s kind of the main reason behind that. Jedidiah: All right. So that was the main reason you made the change? Nev: Well, the main reason I had the change was I was doing a lot of coaching. A lot of companies around Whistler were asking me to coach for them, and even though it sounds great, the more coaching you do for other people, the less time you get to snowboard for yourself. So that kind of sucked. I really wanted to go snowboard with my friends and have fun snowboarding. So turning it into more of a business means that I can actually go out there and do more real snowboarding and less physical coaching. Jedidiah: All right. So I imagine, as well, if you’re coaching for other companies, they take a big cut of your pay. Nev: Yeah. It’s always the company that’s making the money. Jedidiah: Yeah. All right. So how do you make your product? Like you go to film and get it put online and all that, how do you do it? Nev: Yeah, most of making products for us is around creating videos. So it starts off with having a team of writers, and we have three writers in every single video we make – myself, Jesse Millen, and The Junkie, the mystery writer. We do most of our filming in California, at the moment, at Northstar. They’re a very supportive resort and look after us. We also do some of our filming up here in Whistler because Whistler is building a relationship with us now and supporting us too, which is good. So, yeah, we usually get a section of the year where we go down and film all the content. Even before filming though there’s a lot of writing, creating the material, making shot lists and scripts, a lot of behind the scenes work. Then after filming, a lot of editing, post production, diagrams. There is always a lot more work that goes into it than what most people would think. Even after that, when you’re exporting and compressing and making a product for download, making a product for DVD, translating into different languages, the creation of our product is ongoing. Sometimes it will be released in English, and then it won’t be released in other languages until a year later depending on the speed of our different translators. Yeah, so that’s kind of our main stuff to make our products. Jedidiah: So you make your product. You’ve got to put it online and you’ve got to set up the website. How did you go about setting up a website, because I know you weren’t really strong in, like, the technical website sort of deal? How did you do it? Nev: When I first started in business, the person who I was partnered with his cousin was very good at website. However, that only lasted a short time. Then when I went out on my own, I actually had a friend in university who was really good at web techie stuff. So he taught me how to do some very basic things over Skype. So our first ever Snowboard Addiction website was set up by me and a girlfriend I had at the time with very basic HTML coding. However, it’s changed quite substantially with what we do now. I actually have two web developers who work for Snowboard Addiction, and we have a completely custom-built website on the Ruby on Rails platform. So I have very little to do these days with the website. It’s quite a bit over my head, and I’m not really that interested in getting involved in it, but apparently we have a very technical, well-functioning website. Jedidiah: All right. Nice. So, basically, you outsourced and got other people to do the things that you weren’t strong at. Jedidiah: So when you sell your products, I’m just curious, back then I’m guessing you had to go the post office and deliver any DVDs yourself kind of thing and send it out? Jedidiah: So your business was starting off and going okay. How did you market and get your product out there? Nev: We’ve got a ton of different ways we market. One method that is extremely successful for us is YouTube. YouTube is ginormous for us. There are so many people going on there and searching for different things on how to snowboard. We always have a couple of samples of our videos on YouTube. We have teasers for every single video we have on YouTube, and that’s huge for us, that alone. Other than that, there is just tons and tons of ways we market. We have our own email marketing list, which we’re always growing, of snowboarders. We have 20,000 plus people on our email marketing list. Of course, we use things like Facebook and Google AdWords. A lot of things with forums and different snowboard communities around the world. We’re on some competitions. We sponsor a couple of smaller clubs, like Shred Love in New York, and we ran a competition in conjunction with Camp of Champions. There is actually too much stuff for us to name, but our two most successful methods of marketing are YouTube and our own personal email database, which we regularly send newsletters to. On top of that, we get a hell of a lot of word of mouth because we make sure our product is really good. We’re always ensuring to put out the best possible tutorials we possibly can put out. So because of that, we get a lot of people talking about the quality of our product. Jedidiah: All right. So quality is key. On that topic, I noticed you guys have a money back guarantee, like 110%, something like that. Jedidiah: How many people actually get that because I wouldn’t imagine it’s a lot. Nev: Very, very, very few. Nev: Basically, what we do is if you buy our product and you try to use it and it doesn’t improve your riding at all, we will give you 120% money back guaranteed. Nev: We’ll give your money back plus a little bit more, and it’s very rare that someone can’t find something that they can put into their riding. Jedidiah: All right. Cool. So your business was going pretty okay at that point. I mean, you were selling DVDs and training videos. Then you expanded into camps and that sort of thing. Why did you do that? Nev: The main reason we started doing camps was probably just because they are fun to do. However, we’re slowly drawing a little bit away from the camp model, because there is a ton of companies out there providing camps and it’s very competitive and it’s a lot work. It’s a ton of work trying to organize, set up, and run a camp. So we are doing some camps still. We have a camp at the Camp of Champions this year, and we have a camp in Japan. However, we’re not hugely expanding on the camp model. It’s definitely fun to do, but a lot of work and we’re going to focus more instead on our videos and our online coaching program. Jedidiah: All right. So just going a little bit into camps. What’s the process setting up accommodations, passes, hiring coaches, that sort of thing? Nev: Yep. The most important thing really is having customers who are going to come, and if you get customers who are going to come, then yes, you’ve got to set up accommodation. You’ve got to set up usually airport transfers. You’ve got to get classes for everybody. You’ve got to have coaches. Food, if you’re doing food, and again, a lot of behind the scenes stuff. Processing payments, dealing with waivers and people in general can be difficult at times. There are a lot of different things, but the most important thing to run a camp is the customers. If you can get customers together, you can get a camp together. Jedidiah: All right. So on that topic, when you thought of doing camps, did you have to market at all, or did you already have the customer base? Nev: Yeah, we were lucky because we have a huge customer base through our DVDs and our downloads. Our marketing was purely through our email database. It’s kind of like an option for our customers. If they really want to, they can come on camp with us and have an awesome time, and everyone who has come on a camp says it’s a really awesome time. Nev: So I’m no just trying to push it here. It’s a pretty sweet camp to come on. Jedidiah: All right. Well, I should know. I’ve been to one of the camps. Jedidiah: All right. So I know you secured some sponsorship from Burton and that sort of thing at some point to help you produce your videos. How did you do that, and why did they sponsor you? Nev: Burton is a great company for snowboarding because they support all of the areas of snowboarding, and they’re one of the only companies that could see a potential of a video instruction program. So the actual way that I got support from Burton was going to the trade show in the States for snowboarding and pitching my idea to a lot of different companies and seeing if anyone would be interested in being supportive and the cost that it would be for us to make this program. Burton was one of the only companies that could front up and give us some money and gear towards production. So we were really happy with that. We’re really stoked on their gear, as well, and they’re really supportive. They’re even giving us some clips of their pro riders and stuff to put in videos as we move forward, which is cool. Jedidiah: Yeah, that’s cool. So, basically, you went to trade shows, that sort of thing, just to make connections and network? Jedidiah: So you employ a lot people, as well. What was it, 16 people like on and off? Nev: Between all of our full-timers and part-timers, yeah, I’m actually up to 16 people. Jedidiah: Why do you employ people, and how does it help you with automating your business? Nev: When I started, I tried to do everything myself, which was good. But if you want to be big, you’ve got to employ other people because there is so much stuff to do. So to give you an example of what we have at Snowboard Addiction, we have snowboard coaches. There are three coaches. We have an admin and customer service manager. We have a marketing person during winter. We have a filmer/editor. We actually had two filmers this year. We have two web developers who are maintaining functionality and everything at the website. Then we also have eight different translators, one for each language, who are working on putting out programs in different languages. We also have a part-time graphic designer. So lots of different full-timers and part-timers, and we usually have around about four full-time staff operating throughout the year. Jedidiah: All right. So how do you employ people then, because good help is hard to find? Nev: Yeah, we’ve had a mix of good people and bad people, as well. Usually we’ve been pretty lucky with getting good people. It’s usually through people I know or people who approach me about Snowboard Addiction. For example, with the translators, a lot of them I’ve never even met. Many of them are actually customers who are, from say Germany, fluent in German because that’s where they grew up and fluent in English because they learned English. I might never have actually met them, but they are the translator for that country. So that’s how we met them. Yeah, it’s usually just through people I know. Jedidiah: All right. Cool. So last thing. What’s one piece of advice that you’d give to someone else who is just starting to go into business? Nev: A big thing that we found was systemizing your business, making everything as organized and as automated as possible. Write down everything you do so that you can refer back to it, because there are a lot of things that you will go back to and it’s so much easier if you’ve done it and have some kind of system in place. So just making sure that everyone is on the same task and organized and they have a stepping stone process to follow, if it’s not the first time you’ve done it. Jedidiah: So, just a little bit on the writing down things as you get them, do you write them down on the spot? I find I have to write things down on the spot, otherwise I just won’t remember it later. I’ll have a good idea, and I go to write it down before I forget it because there is no way I’m remembering it later. Nev: Yeah, to give an example, we have a system of manuals for our business. We have an office manual, we have a film editing manual, we have a web developer’s manual, we have an accounting manual, and we have a processing sales manual, basically, and we add to these all the time. There are online documents that can be shared between anyone who’s working in our business. If we find something that’s not on there as we’re doing it, we add to it. So it’s a never-ending document or a set of rules on how to operate our business. Nev: That we’re always building on. Jedidiah: Thanks a lot for joining me today and, yeah, thanks. Nev: Cool. Thanks, Jedidiah. It was a pleasure. Jedidiah: All right. See you. Nev: All right. See you later.